Sestre are flying in for the next Eurofest! Happy new year (that’s happy new Eurovision year of course)! September marks the start of a new Eurovision year, and already countries have started choosing their song for 2016. The Dutch have certainly wasted no time in choosing their artist, Douwe Bob, to represent them in Stockholm. The wheels are in motion for our next Eurofest on Friday 13 November, as ever at London’s historic (and now Grade II listed) Royal Vauxhall Tavern. As well as the usual six hours of Eurovision and Europop from our trio of fab DJs Dave Simmons, Don Grant and John Hagley, we’ve got another fab trio as our live act. Flying in from Ljubljana will be Sestre, who represented Slovenia in Eurovision 2002! Marlenna, Emperatrizz, and Daphne took to the stage in Tallinn with the unforgettable “Samo Ljubezen“. 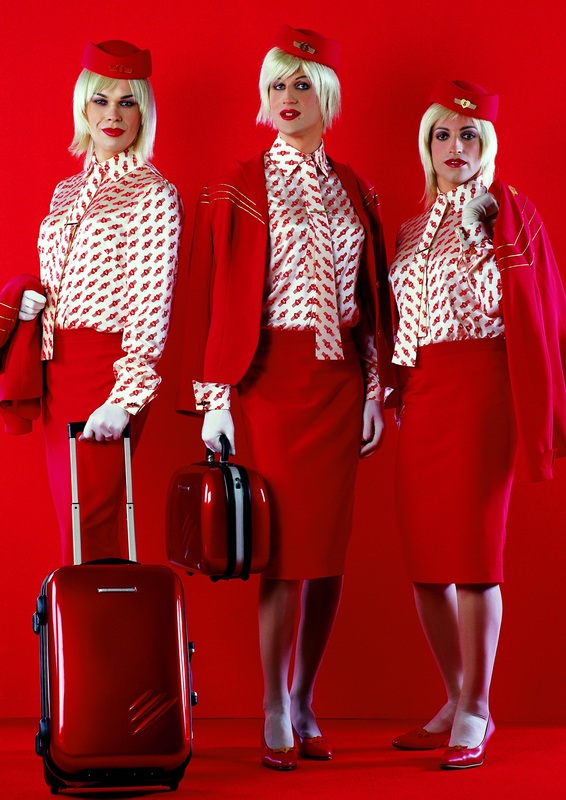 No one can forget their glamorous red flight attendant outfits and striking red lipstick! Since then they’ve performed all over Europe, including an appearance on the UK’s notorious “Eurotrash” show, and we’re expecting a memorable performance from them at Eurofest. As ever, doors will open at 9pm and we charge the bargain price of £5 admission before 10.30pm and £8 after. You can keep up to date on Facebook by signing up to our event page.